The Only Show on Television to Accurately Portray Nerdculture — Are You Tuning In? I know that Big Bang Theory, now on it’s umpteenth season (just kidding guys, they’re on their sixth- er…seventh season), is a huge hit and yes, Jim Parsons is fantastic but let’s be honest here: if you want to watch a show about nerd culture, Amy Poehler’s Parks and Recreation is the only way to go. Is this a hotly contested opinion? Maybe. But let’s consider the facts: Parks and Recreation (now on it’s sixth season), hosts a wide variety of “nerds,” in a number of hilarious scenarios, but rather than making cheap shots at comic book enthusiasts and portraying nerds as this highly intellectual yet marginalized group in society, you see nerds geeking out over batman costumes, then going on to run election campaigns. 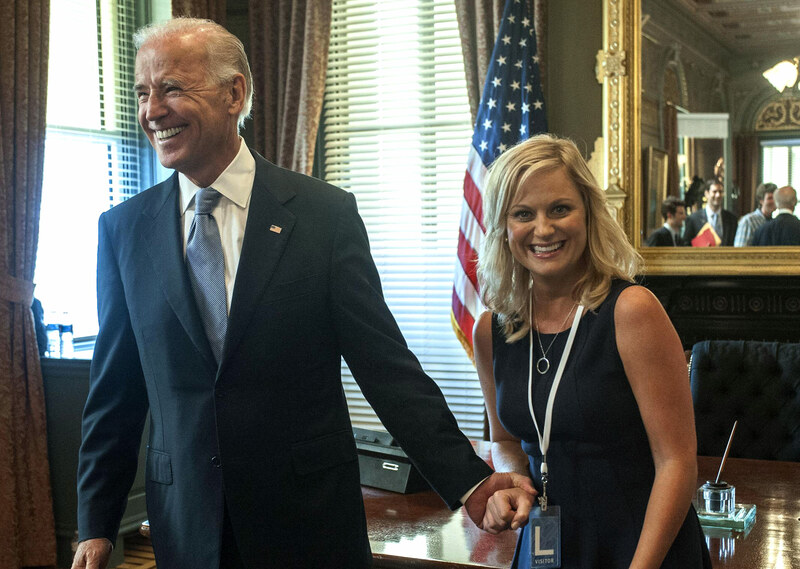 You get Leslie Knope (Amy Poehler), a motivated, ambitious and successful woman with a fangirl level crush on Joe Biden. You get Ron Swanson (Nick Offerman), an anti-government, self-made man and woodworking nerd. You get Chris Traeger (Rob Lowe), the most enthusiastic, optimistic health nut that I’ll never have the pleasure of meeting. Ultimately, the beauty of Parks and Recreation, is that it features the various multitudes of nerdculture without limiting the character portrayals to their self-ascribed fandoms. Ben Wyatt is more than a Star Trek, Batman and Lord of the Rings Aficionado. He’s run non-profits, successful election campaigns, and married the love of his life. Isn’t that a story worth watching?